LMNOP presents an insightful conversation focused on practices and processes of photography for promoting your project work and firm. Photography is an essential marketing tool that allows us to be recognized by our peers and future clients. In a competitive industry, it is important to stand out with the right photographic product. Our panel will share their professional experience and present case studies relating to promoting your work through your website, social media and publication. Learn experimental quilting techniques using remnant fabrics and mixed naturally dyed materials; explore traditional and modern quilt stitching in a small setting. Click here to register. 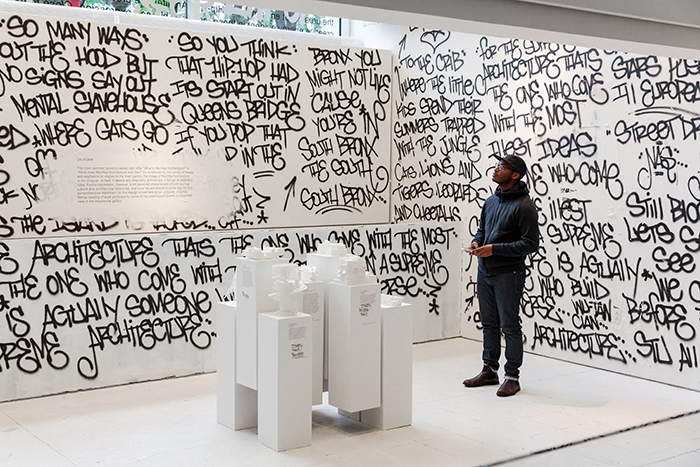 The Birth – Part 2 is the second of two conversations exposing deeper investigations into Hip-Hop Architecture. Speakers will discuss their associations with the architectural movement and share projects and ideas connected with their work in the exhibition. This panel will feature Los Angeles-based artist Lauren Halsey, whose early education in architecture and identification with hip-hop culture now guide her large-scale urban installations, along with University of Cincinnati Assistant Professor, Stephen Slaughter, one of three professors currently teaching courses on Hip-Hop Architecture. Syracuse Architecture Assistant Professor, Lawrence Chua, PhD, who writes about hip-hop and Modernism, will moderate the session. In ten days, Textile Arts Center in partnership with The Vanderbilt Republic are proud to present Three Walls, the final exhibition of work by AIR Cycle 9. Please join us in Brooklyn on Thursday, September 20 from 6-9pm, to celebrate the work of our Cycle 9 Artists in Residence! Our residents are: Jamie Boyle, Rhonda Khalifeh, Junyu Li, Lily Moebes, Meghan O'Sullivan, Cory Siegler, Hannah Whelan, and Chang Yuchen. Dezeen's US editor Dan Howarth will speak to local architects Katherine Chia of Desai Chia Architecture, Michael Chen of MKCA and Karolina Czeczek of Only If Architecture about their work, the architecture scene in New York and why they choose to be based in the city. The talk is the second in a series of panel discussions organised by Dezeen exploring the creative spirit of New York. It coincides with the Spirit of the City installation by British studio United Visual Artists, which is currently open to the public at A/D/O. IIDA NY's Residential Forum is teaming up with WantedDesign, which has two marquee annual events during NYCxDESIGN, the city's celebration of global design. Founders Claire Pijoulat and Odile Hainaut will enlighten us on the origins and evolution of this beloved show, along with five of their 2018 featured designers: Moses Nadel, Richard Clarkson of Richard Clarkson Studio, Jill Malek, Megan Offner of New York HeartWoods, and Yuko Nishikawa. 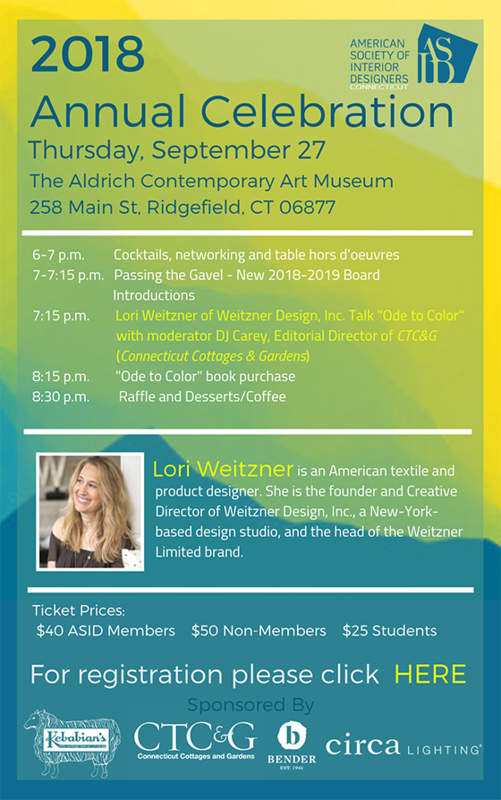 Nicole Anderson, Executive Editor of Modern, will moderate a lively discussion on where these artisans derive their inspiration, how mindful they are (or are not) of branding, market trends, and more. Please join us for this behind-the-scenes look and unique insight into one of New York's must-see design events.